Joseph Esso has been voted as Hearts of Oak's Player of the Month (POTM) for March. The former Ebusua Dwarfs striker beat off competition from Malik Akowuah, Daniel Kordie and BenjaminAgyare to win the club's first Player of the Month for the season. 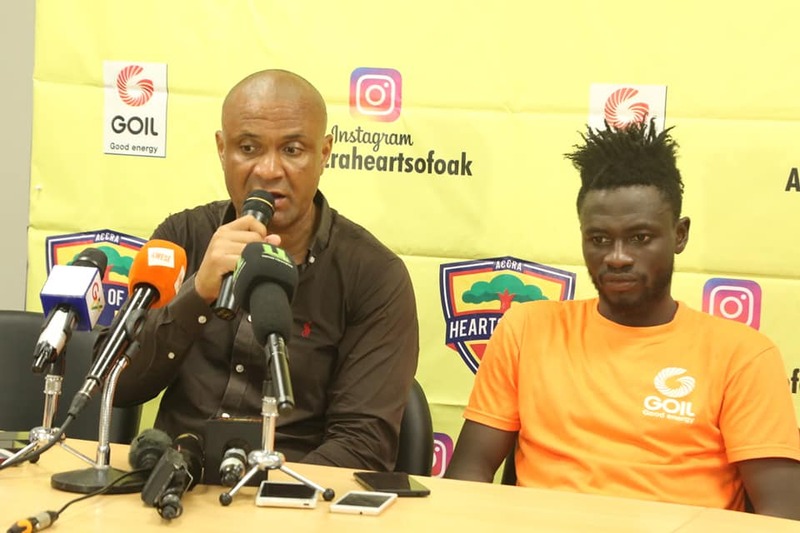 Esso scored two goals and won the penalty that helped Hearts to earn a point in their first game of the season in the month of March. 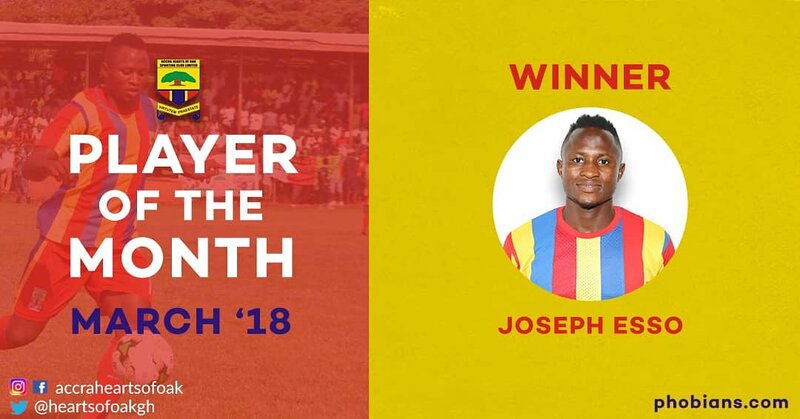 He scored a beauty on his home debut against Ashgold but though the goal was only a consolation it was voted as the club's Goal of the Month for March. Esso followed that up by netting against his former team at the Cape Coast Stadium to make it back-to-back strikes at his former hunting ground.